Bower & Associates use strategic planning to assess the areas of strength in a practice and then form a plan that will evolve the practice into a valuable financial asset. Bower has 20 years of experience designing financial and business models for stimulating physician practices. Bower and VMS worked closely with one of the most hectic vein clinics in the country with extremely positive results. Grew the practice from one to multiple clinics – from $4m to $15m in revenues – in less than three years. The clinics averaged 50 procedures per week in towns with local populations of around 300,000 people. Designed and applied the marketing strategy which grew clinics to the highest volume vein clinics in the country within eighteen months of inception and with no name recognition! Designed and issued the Company’s business plan to investment bankers and private equity firms – achieving a market value of $22m! Negotiated private equity deals optimizing the value of the Company. 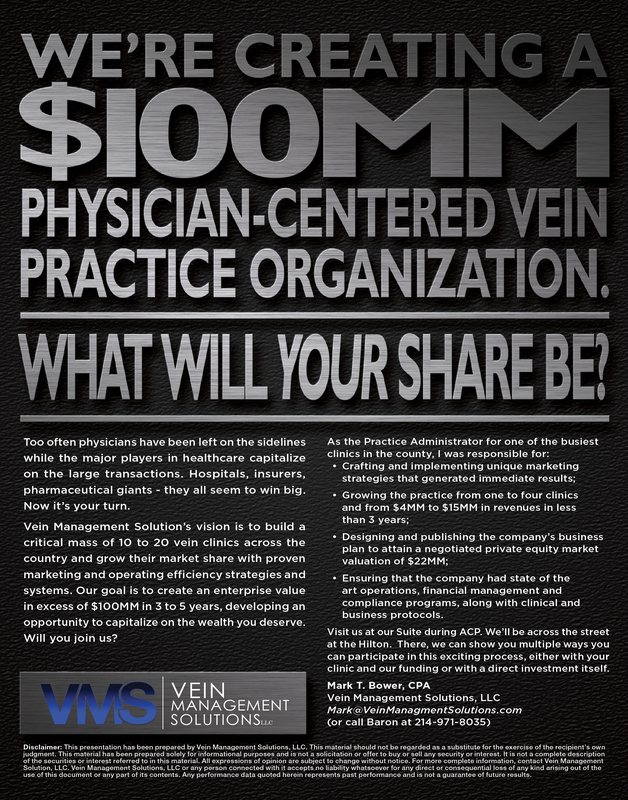 Vein Management Solutions (“VMS” from here on) helps physicians maximize the financial worth of their vein disease practice. Mark Bower is excellent at discovering opportunities in a business. As the owner of VMS and a licensed CPA since 1986, Bower has been working to help physicians increase the efficiency, effectiveness and net revenue of their practices.